Viaprestige Real Estate is listing broker for the first MLS-recorded sale above $5M in the Brickell area in two years. MIAMI, September 18, 2018 – While many Miami realtors are riding a decade-long roller coaster in the luxury market, Viaprestige Real Estate's William Harbour & Marie-Charlotte Piro are laying grounds for a promising future. The two capitalized on their efforts by recently closing on a 5-bedroom two-story townhome, unit 3301 at the Santa Maria Condominium, for $5.350M. This is the highest price ever paid for a townhome in this building, and the first MLS-recorded sale over $5M in the Brickell area in over 2 years. Is this a sign of recovery for Miami's luxury condo market? This is what Piro, Vice President of the boutique real estate firm, believes. The sale highlights another record-breaking sale by Viaprestige Real Estate and, according to Piro, is a confirmation that while the current market is still shunned by Latin Americans, domestics buyers and local banks are ready to bet big on Miami real estate. The 5730 square foot property, located at 1643 Brickell Avenue in Miami, was purchased in 2012 for $4.25M by its previous owners through Marie-Charlotte Piro, and was extensively remodeled. Marketed by Viaprestige Real Estate since April 2018, originally at $6.35M and subsequently at $5.95M, the property was sold to a trust represented by ONE Sotheby's. The acquisition was financed by a $3.745M jumbo loan from Florida Community Bank. The property was on the market for less than 90 days. Piro is no stranger to setting milestones in recovering markets. In 2011, she raised the bar by selling a lower penthouse at Jade Ocean Condominium for the highest price per square foot ever paid for a residential condo in Sunny Isles. This record-breaking sale is definitely a sign of recovery for Miami luxury condo sales as well as a confirmation that while the current market is still shunned by Latin American buyers, domestics buyers and local banks are ready to bet big on our city's luxury real estate. Viaprestige was founded in 2009 and since then has expanded beyond South Florida, establishing a strong presence in Europe and Canada, as well as Latin America and the West Indies. 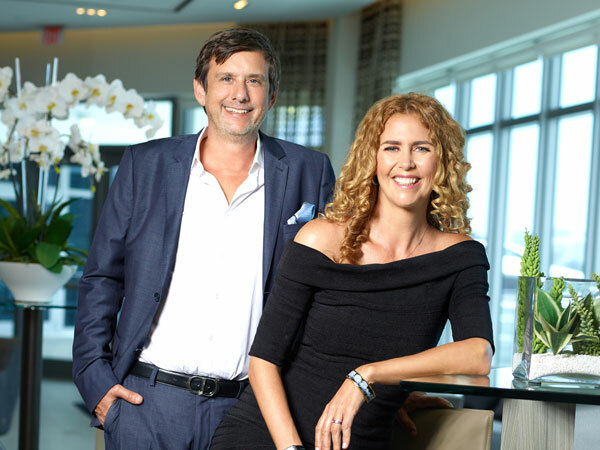 Living and working in Miami's Upper East Side, Marie-Charlotte and William operate from a very competitive position in the sectors of Downtown Miami, Biscayne Corridor and Miami's Upper East Side, with countless luxury residential and investment properties bought and sold for their clients at record prices.